Cappuccino vs Macchiato vs Latte: What’s the Big Difference? You don’t have to live in despair anymore. Here’s the Coffee Chronicler’s, down-to-earth guide to all milk-based coffees in the universe. 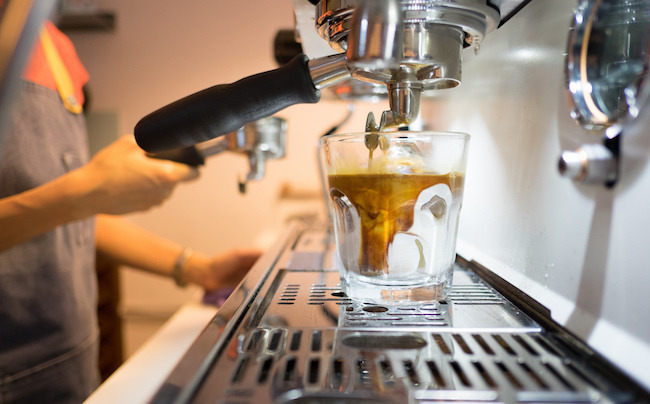 With so many different caffeinated concoctions to choose from it’s not always easy to visit a coffee shop – that is unless you happen to be fluent in Italian. 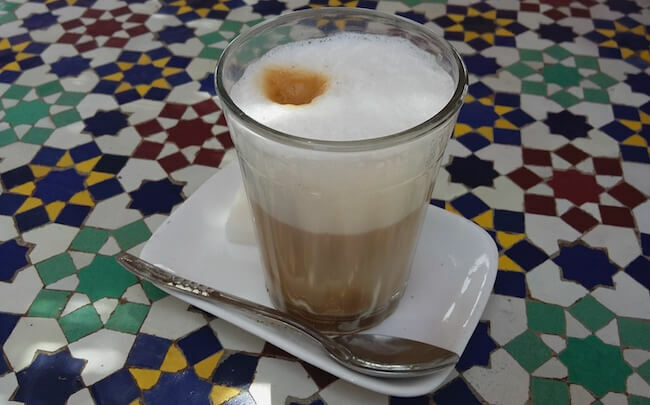 In this article, I’m going to explain in layman’s terms exactly what you can expect from each coffee-based drink; be it latte, macchiato or cappuccino. However, first, let’s start by looking at the foundation of all the Southern European types of coffee. Once you understand the typical template of how these coffee concoctions are made it’s a lot easier to remember what each of them entails. Rule #1: Espresso is the foundation of all the drinks. Milk is then used in different proportions. The milk can come in two forms: Steamed and foamed. Steamed milk is essentially just warm milk that will blend nicely with the coffee. Milk foam, on the other hand, will be light and bubbly. Because of all the air trapped inside the microbubbles, it will stay on the top. The milk foam will be the canvas for any latte art. Both cappuccino, latte and macchiato consist of these three elements. What’s important here is, how the ratio differs. Often you’ll get the drink with some latte art on top; rosettas and hearts are favorite patterns. In more traditional cafés the cappuccino will often be sprinkled lightly with cocoa powder on top. The cappuccino is the god-father of milk-based coffee drinks. The name itself tells you how old the concoction is. Cappuccino refers to the robes of the Italian Capuchin monks that also happened to be brownish; the same color you get when you mix coffee and milk. The cappuccino goes back several hundred years, but the modern version dates back to the 1950’s when modern espresso machines became widespread in Italian coffee shops. In Italy cappuccino is considered a breakfast drink; it’s frowned upon to drink it after 11.00 am. Italians will usually order espresso later in the day as it’s supposed to be better for the digestion. It’s usually served in a glass, and only rarely in a coffee mug. The caffe latte is one of the most popular coffee drinks today, which is kind of strange when you consider its origins. In Italy, caffe latte always referred to making coffee with milk at home. Usually, people would make coffee in a so-called Moka pot and then add hot milk. This practice is also called café con leche in Spanish or café au lait in French. Historically, there has never been a thing such as ‘a latte’ on the menu in Italian coffee shops. 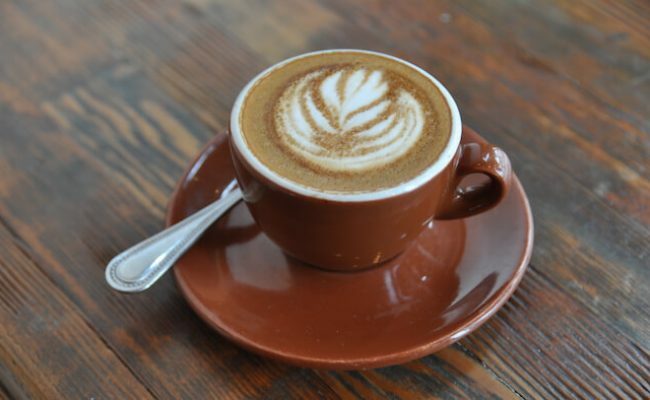 It’s instead believed that the ‘latte’ as we know it today originated in Italian-inspired coffee shops on the American west coast during the 1980’s. Usually it’s served in an espresso cup or a small transparent glass. The macchiato is a newer concoction that has become very popular in recent years. It has less milk, and more espresso flavor compared to lattes and cappuccinos. For that reason, many coffee drinkers see it as a more masculine drink. Essentially, it’s just an espresso with a bit of foamed milk on the top. ‘Caffe macchiato’ means ‘marked coffee’ in Italian, so it refers to the fact that the espresso is just touched by a tiny bit of milk. Traditionally, the milk foam is poured only in one spot, which gives the drink it’s ‘trademark’ white spot in the middle. A single espresso shot is poured ON TOP of the milk. The drink will be darker in the top and lighter at the bottom. So far everything has been pretty smooth sailing. However, with the introduction of the Latte Macchiato on the coffee menu, things get complicated. While the caffe macchiato is the most potent drink of all, the latte macchiato is the one with most milk. To be able to remember the difference, it’s a good idea to keep the Italian dictionary close. ‘Macchiato’ in Italian means ‘marked,’ and latte means milk. So in this drink, it’s the milk that is ‘marked’ or spotted with a few drops of espresso. In other words. The latte macchiato is the reverse of the caffe macchiato. It’s like the yin and the yang. In its essence, this is a milk drink, not a coffee drink. In recent years we have seen an explosion of coffee and milk concoction with creative names. 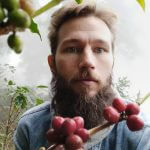 The coffee chains have to keep their marketing departments busy so even though this will mean even more confused customers, and the trend is likely to continue. Flat white is Aussie slang for a caffe latte. Well, at least it is if you’re asking me. If you ask a cool Melbourne barista, he’ll probably tell you a different, nobler story. The flat white is usually served in a smaller ceramic cup as opposed to the large glass that latte is served in. The Cortado is another of the more ‘masculine’ milk-based coffee drinks. It’s a smaller, more concentrated latte. It’s about 50/50 steamed mik and espresso. It is sometimes called a Gibraltar in specialty coffee shops in the US. This is a chocolate version of the caffe latte. It’s around the same size, but usually, there’s also a bit of hot chocolate added to the drink. Often this drink can go into dessert territory and be quite sweet. This is more of a dessert than a real coffee drink so many coffee shops won’t have it on the menu. The most stripped down version of this dessert is just a scoop of vanilla ice cream with a shot of espresso on the top. However, many chefs have their own version. The image below shows a shot pulled directly on the ice cream. There are so many ways to say ‘espresso with hot milk’ today, that even a seasoned linguist would be perplexed. Remember, If you’re in doubt, ask the barista. Usually, they’re nice folks who don’t mind telling you about their work. A last thing worth pointing out, is that milk-based coffee concoctions are often very heavy on the calories, so this is probably not something you should consume on a daily basis.